A man driven insane claims he has been at sea for years. He has come from a land across the sea ravaged by darkness that has been in a war for decades. The Druids of Gror have been battling a branch of the cult of dul cacht, and are dissipating, their numbers slowly dropping. They need your help to fight huge creatures of tremendous power, some less powerful who can be beaten by one person alone, and some you will need to group up with other heroes to fight. The power comes from a creature called The Destroyer, a human like creature with giant wings and fangs that can bite through steel. He has many minions across the lands, some never seen before and some met in the other world that have come through a new portal, opened by The Destroyer himself. 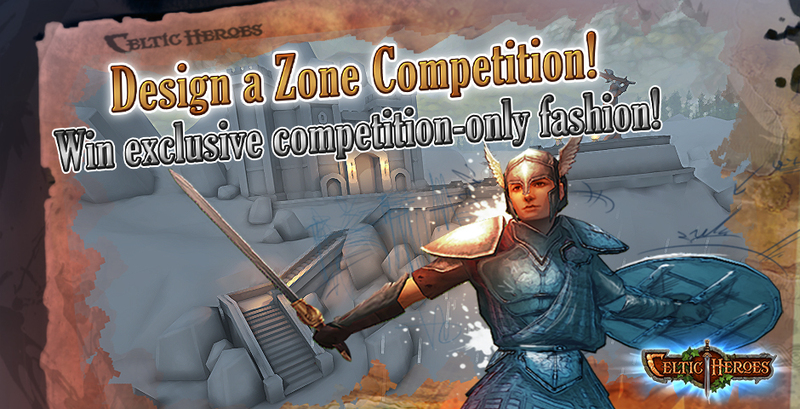 You must sail across the sea to find these lands, and help the Druids before it's too late. Will you be brave enough to challenge these fierce enemies? an empty island, traveled by taking a boat in lir's reach baring nothing but a single tree and an NPC called "Global Wide Thief". It costs 20,000 to unlock the island. His only dialogue when talking to him is, "This the only place I feel safe enough distance away from those Alpha Snarls". The end has come. The gates of Rath Parras have opened, allowing access to the celestial heavens the gods came from, and allowing Crom to be freed. After sacrificing the statues of the gods to harvest the power of the worship and offerings, the gates to Rath Parras were forced open by the joined forces of a warrior, Druid, mage, rogue and ranger. The acts of the five heroes angered all the gods above, most of all King Nuada himself. The five heroes acted against the advice of the remaining wardens, all the clans of Del Riata, and even the imposing manifests of the gods themselves. The world believed the five heroes to have fallen to Crom's influence, like Gelebron himself, and but they finally aquired the power to unleash the cruel god. When the gates of Rath Parras opened, black stone forces swarmed past the five heroes to finally meet Crom, but after having his power drained from him for eons, he harvested the lives and power of his followers to replenish his own strength, turning his devout followers into Dark Voids and Spirit Shells. The five heroes remained at the gateway, hands joined, unearthly power radiating from their very beings. The act of unity under their newfound powers reinforced the magical barrier that had kept Crom sealed away. Their actions one again shocked Del Riata, as Crom remained imprisoned with most of his followers eradicated, and the five heroes now had free access to roam in and out of Rath Parras to their will. With the twist in events, the gods remain furious at the five heroes, but the heroes have newfound access to the fortress and it's pathway to the Celestial Heavens to gain more Godly powers in order to challenge Crom. Upon entering Rath Parras, you will be walking into a long throne room haunted by the drained souls of the former Blackstone Cabal. A weakened version of Crom will stand at the base of the throne. The main objective is to defeat the weakened version of Crom to drive his darkness out oft the main level of the fortress and banish him to an underground dungeon that will become the Instance or Boss Spawn room. After the defeat of the Weakened Crom, you will be able to access the stairway to the upper level and the high tower. You will need to seek out old godly leftover artifacts to open the portal to the Celestial heavens. The artifacts are littered around the interior of the fortress to pick up from the ground , appear in random spots, and they have different tiers of artifacts that may show up. You need Godly tier to open the portal, any tier below can be sold to the shop. Once you enter the Celestial heavens, you must defeat enemy mobs such as Young Stars, Echoes of [Insert God], Bodies of Light, to synth your own armor; or you can defeat stronger enemies (****~****** bosses) for Holy Drops to synth into a higher version of Enchanted Dragonlord. Upon completing the basic armor set (sans weapon and offhand), you can enter the Dungeon of Crom without taking massive damage over time. The initial entrance to Rath Parras will be nearly completely dark, but as you step further in it will get more visible, kind of like your eyes adjusting in real life. The main Throne room is rectangular in shape, with spiral staircases leading to a blocked upper level until The Weakened Crom is banished to a dungeon. The second level of Rath Parras has a lot of rooms littered with items you may pick up but not always artifacts for the portal quest. The hallway overlooks the throne room, but the railing is broken in areas so if you get too close to the edge, you may fall off. It will be harder to gauge how close you are to the edge because the natural setting of the area is much darker, like a poorly lit version of Dustwither. On the second level, directly above the throne, is a stairway that leads to the highest tower, and in the tower is the portal to the heavens. The heavens is a very massive and well lit area, with floating light orbs roaming around, pink and white explosions of stardust, a glittering dark blue sky above and the ground beneath you is part cloud and part stardust. The heavens is the place the gods came from, and it's where young stars and other celestial bodies are borne. It's important to note that the randomly floating light orbs and the little stardust explosions around you will damage you with divine damage if you make contact, and there will be occasional tufts of small clouds that will grant a movement speed if you run through it. Staying in this beautifully pink and glittery area for too long will also cause a massive damage over time to tick in upon reaching 15 minutes, but having an Exalted Aura will lessen the damage taken over time. On the base floor of the fortress will have a hidden gate behind the throne, and it will lead down to the dungeon Crom is newly banished to. The area is nearly pitch black with a status effect of Chaos, a damage over time and a risk of accidentally attacking another player close to you if you remain idle or fighting too long. There will be dark voids floating around the Dungeon and it will damage a player upon impact. Having the Holy Armor Set (the higher version of Exalted), will only block the damage over time, while having the Holy weapon and offhand will block the risk of killing an ally. I'm bad at drawing, and I picture the fortress itself to be shaped like old farcrag castle but with two levels, and The Dungeon of Crom to be a set of stairs leading down to a large, dark open area. The heavens is more wide open area with a couple leystones throughout the entire map. At the center of the area there will be a huge, radiant mandala on the ground and in the center of the mandala is where Nuada would spawn. The setting of the Celestial Heavens would differ based on where in the map you are located; If you are on the northern side, there will be glittering ice crystals mixed with the existing setting previously described. In the south and west the color tone would slightly dim with vibrant flashes of orange and purple in the horizon to symbolize sunset. The eastern map would be more green with illusions of plant life. Drops: artifacts, treasure, boosters, and jewelry may be looted from the ground randomly. Bosses: Weakened Crom (******) drops weapon that deals Chaos Damage. *~*** Young Stars, Bodies of Light, etc. drops armor items. Raid boss: ****** King of Gods, Nuada. Drops jewelry, offhands, mounts. Mobs: I don't know if I want to add mobs in here because Crom will be hard as fu--dgesickles to kill. Bonus: about Crom, I wanted to make the big bad for our first 240+ levels really unique. He will be fighting the heroes in a very dark room with DoT, the danger of the players killing an ally, and he will have skillss that AoE freeze/stun, bleed, inflict the effect of insanity (player cannot target him and damage is inflicted on himself or to nearby heroes) and Crom can teleport himself or near by players to a different part of the room. I wanted to make him truly unique. He sounds too hard and like a fantasy to kill or to even exist, but hey, it's just my idea. I had a LOT more ideas for this, mainly about story to continue on from this point in the game. If I could, I would write about how the Occulus created a rip in time causing a portal to be opened in the more techno advanced time, where technology overruns the world and even humans have evolved to be part machine... not close to what the game currently is, nor will it ever be, but I'm just a writer with my thoughts running wild. I hope this was worth the read. A list of terms to better understand my areas storyline. Crom has made an attempt to escape his eternal prison of Rath Parras the gods must now focus their powers on fixing the damage dealt to the fortress's seal. Lir's power which had long kept the ocean tides high and the seas bountiful in Lir's reach has weakened. Once hidden by Lir with the waters now receded the land passage way connecting the Northern peninsula to the ancient Celtic Viking Battleground to the Northeast is now accessible. The land had once been a peaceful land in which both Celtic and Norse gods would converse as such both Viking and Celt alike worshipped it as a holy land that had once accepted both gods. 200 years past and these views changed and warped what was once sacred ground had become a bloodstained wasteland over who's gods the land belonged to. The gods (Crom and in an attempt to stop this bloodshed combined their powers to hold time in a repeating stasis. Another 150 years pass and Croms seal has weakened so has the powers that had held the land separated from our world. As the adventurer enters the land the find it distorted between present time and the time of the war, complete removed from the history books, no one knows what happened here and only a few remember it was a meeting place of the gods. The shoreline mostly in present time excluding the near dead body of a Celtic warrior adorned in an ancient powerful warden armor blessed by Crom himself who had once been the main dirty of worship in this land of gods; allowing the armour to achieve a level of power far surpassing that of even the Legendary Doch Gul armor of Myth which over hundreds of years has lost much of its power. The warrior tells you of his armor the Doch cul Armor set. He will speak of how the twin armor sets were originally created with an equal amount of power and how the Doch Gul set was imperfect using the hexagonal design the power it was imparted with could not hold for long deteriorating (gele tower wardens put massive power into Doch Gul set damaging it massively leaving it with little to no defensive capabilities) the armor itself and letting its power deep out. The Doch Cul armor using its continuous design made the armor capable of holding an infinite amount of power for an immeasurable amount of time thus allowing the armor to be continuously imbued with more divine power without dmg (would only make the armor stronger). Skills: Passive: Assimilation- Mairbh will heal for players current max health anytime players die within certain range of Mairbh. Chaos aura- 30 min rage. Tear- A part of Mairbh rips off and becomes 2 aggressive homunculi. and warriors (Celtic and Viking- some aggressive) the closer player gets to middle. Top half of map is frozen with similar effect as bottom as you near the middle. Map would be similarly shaped to Norway (kinda like how lirs+ shale are the highlands). In this lore Crom and Forseti were the gods trying to stop the battle but since they could not physically interact with the world they instead isolated the battle in a single point in time in which they would wait for someone to save their people while conducting the spell Crom lost a part of his being in the time rift losing all sanity and going from a kind sun god to the god of slaughter which is currently trapped in the fortress of Rath Parras. After losing his sanity Crom then killed his close friend among the Norse gods Forseti. After this happened Lir raised the sea levels sealing off this battlefield from the world of men, and the rest of the gods sealed Crom away. Lift the anchors and hoist your sails, for the Korjin depths call your name. You may have bested many mystical creatures on land, but no one has ever dared to step off of Lir's landscapes and into the endless abyss below. Before it was a lush and thriving kingdom of Korjin sea life, the fish were as equally beautiful as they were tasty. Most trade routes were filled with valuables, luxuries, goodies, fashions, and even some of the greatest foods known to man. But as man grew hungrier for what riches the next ship would barter, so did the sea; One by one ships went missing, trades slowed, and marketing over seas stopped, corrupted pirates and mysterious creatures of the deep were to blame, bounties, and trappers were sent out. Mankind did everything they could to take their waters back, many people kept their belongings out of sight for fear of thievery, other people were executed for suspicion of pirating any goods the ships could have possessed. While the Korjin seas had mysteriously blackened, the fish lost all flavor but bitterness and smelled like the mold on the abandoned docks. All of mankind prayed for the seas to be cured and for the powerful sourness that looms over the lands to be extinguished by the sweet and fruity smell of plant life. Barinthus The god of the sea attempted to cure the waters, but the ocean would not obey his commands, the stench and curiosity had been unbearable Lir's Reach fears all is lost. Succeed and bathe in the long lost treasures of the deep, open the waters to Mankind once again, let our travelers discover distant islands and be praised the savoir of Lir; Or fail, the plankton and algae will feast and thrive in your rotting corpse as Lir struggles to fend off the evils from land and sea. Either way, I hope you're not sea sick. "Mankind only fears the unknown, but once man has faced the unknown, it becomes the known"
Last edited by WreckerJ on Sun Jul 09, 2017 10:03 pm, edited 3 times in total. Once a fortified keep high above the Dor-Keln mountains, it stood as a defensive position, looking down upon the land as a symbol of protection in the mountains. Guarded by the warriors of Dor-Keln, the keep fell to an onslaught of corruption brought about by dark mages of Crom, opening a void to the realm of daemons. Now twisted from the corruption this malefic fortress is home to Balor – the Celtic demon king and his minions. The towered fortress split in two and held together by dark chains. Only heroes blessed by the light of Aibheaog may enter this land. Deadline 5th July 2017 - Winners will be announced within 2 weeks of competition end date. OTM lets the players help design certain parts of the game. Not only is there nothing wrong with that, but it's really cool!